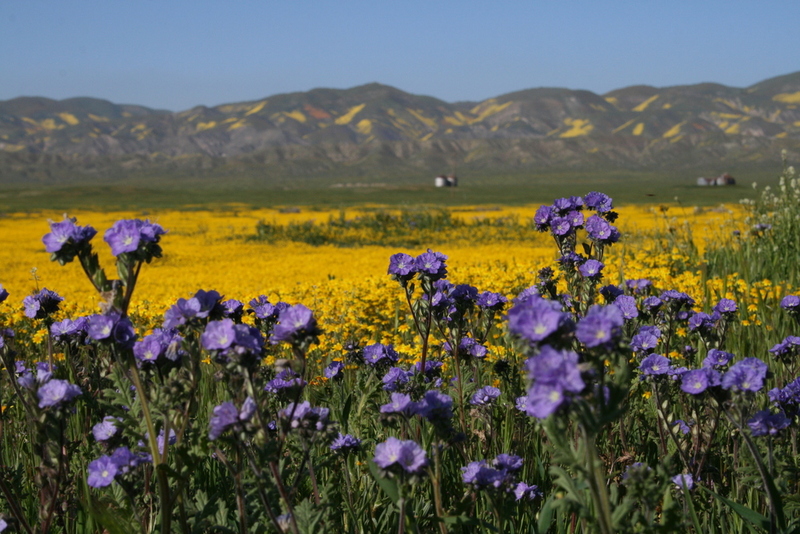 Every year between mid-February and mid-May, sometimes into June, Southern California hills to transform from brown, to green, to mosaics of yellow, orange, blue and violet. 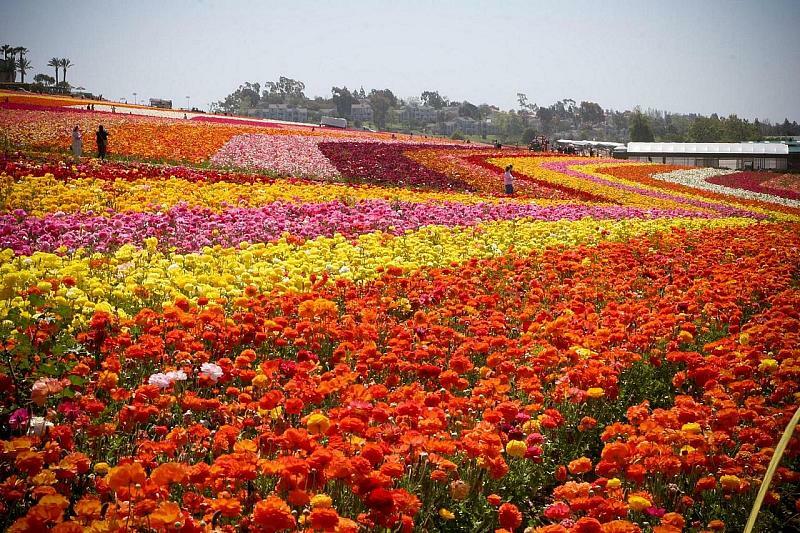 It's the petal season, the annual California wildflower bloom. 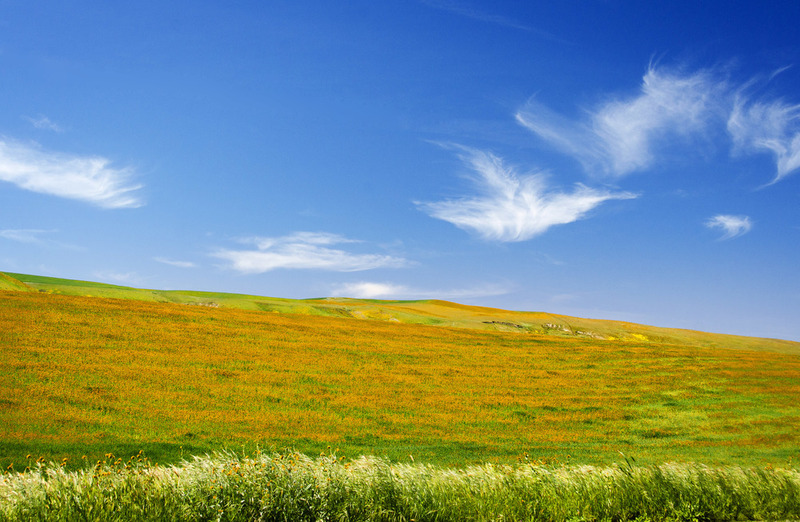 An event that draws thousands of visitors to the dramatic rolling hills for scenic drives, camping getaways and a grand appreciation for the native California landscape. A reminder to all, wildflowers in these locations are protected, every bloom aspires to reseed next year's blossom. Don't pick the flowers. A note that blooms invite insects, something you should be prepared for. The majority of the locations discussed provide stunning observational opportunities and we'll also note two non-native blooms, these at times can be just as inviting and beautiful as native blooms. 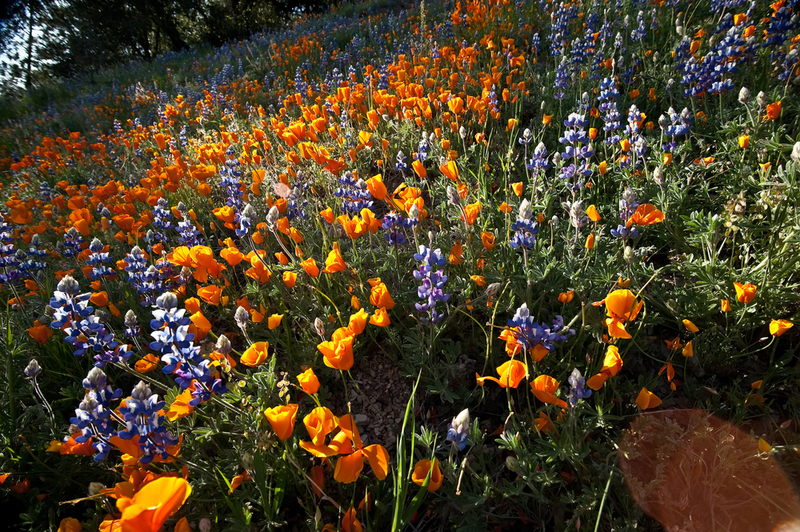 If you find this resource helpful, shoot us a message and check out our favorite botanical gardens for hard-chilling and our piece on famous California drives: Rites of Passage. 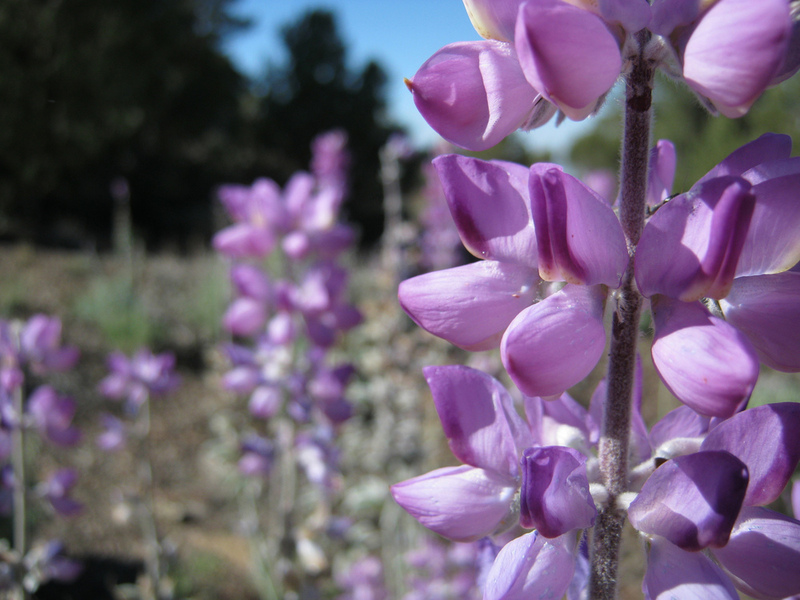 You can find out what's blooming at Henry Coe State Park at any moment by using this real-time wildflower guide. 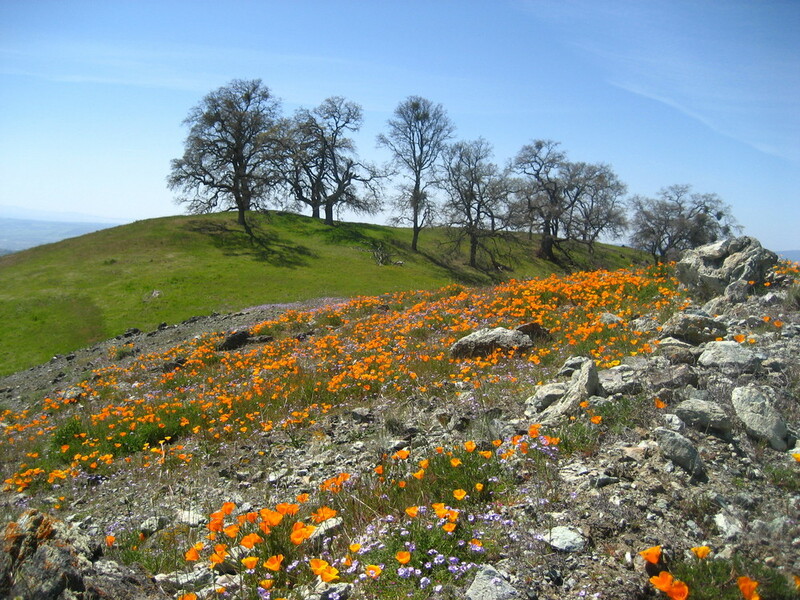 The largest state park in northern California, Henry Coe has rugged Diablo range back country wilderness with fantastic trails, views and opportunities to explore the beautiful headwaters of Coyote Creek. 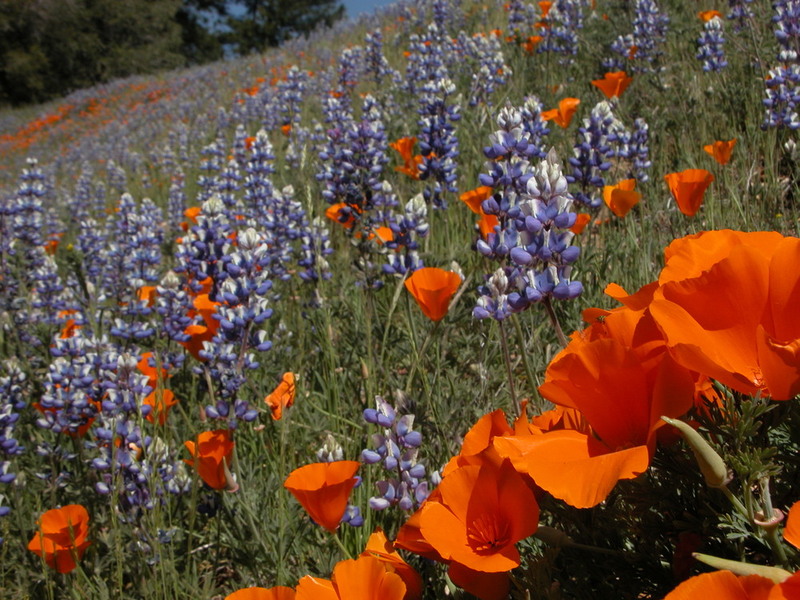 The State Park service states the following for wildflower travelers, "The landscape is rich with blue lupine and orange-yellow California poppies, bright yellow gold fields and delicate baby blue eyes. 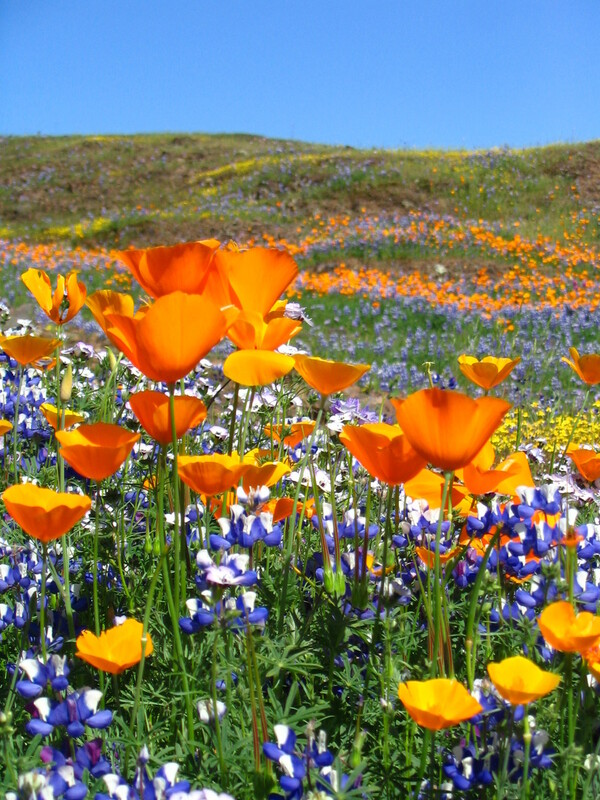 Mariposa lilies, larkspur, blue dicks and Ithuriel’s spear show themselves in late April and May." Considered to be the best example of what the original Great Central Valley of California looked like prior to development. 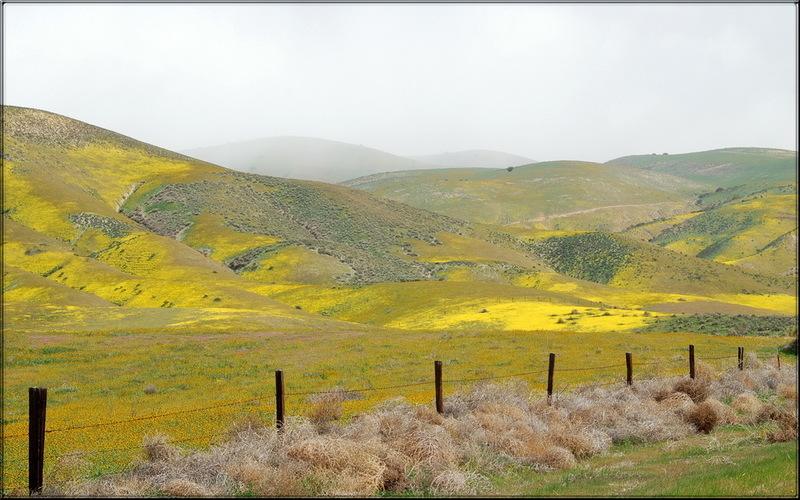 Here, one finds the valleys, hillsides and canyons luminescent with buoyant color during the spring. A true wonder of the natural world, in the California backyard. There's plenty of camping available too. 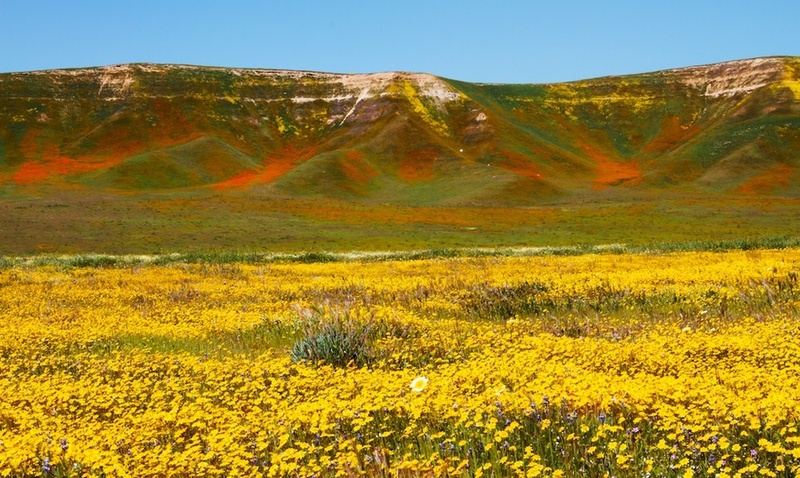 It's good to note that the Carrizo Plain doesn't sprout wildflowers every year, due to a variety of governing factors like rainfall and temperature. 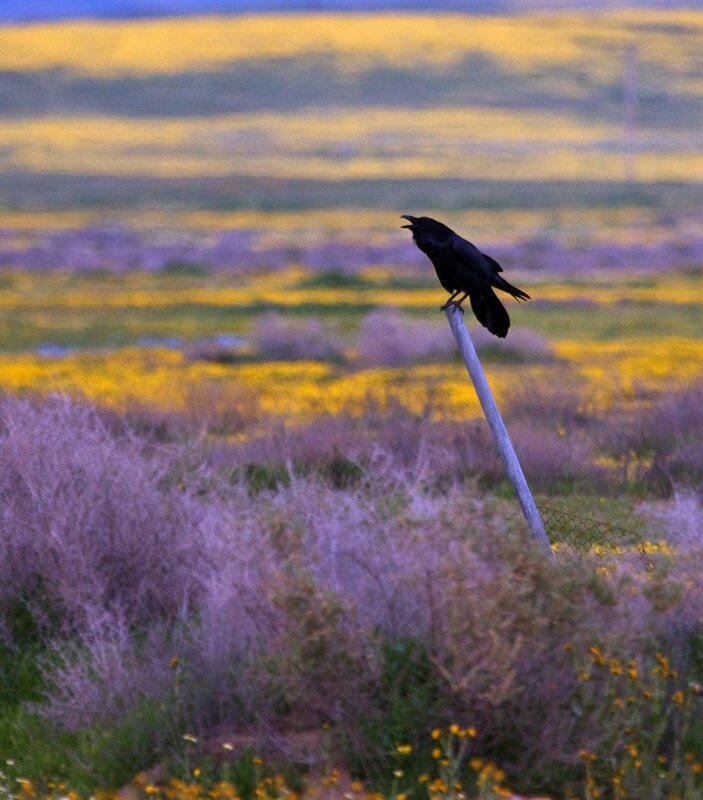 Fortunately, an El Nino year is suspected to bring a super bloom of sorts to the plains. Here's how each spring month renews its palate. 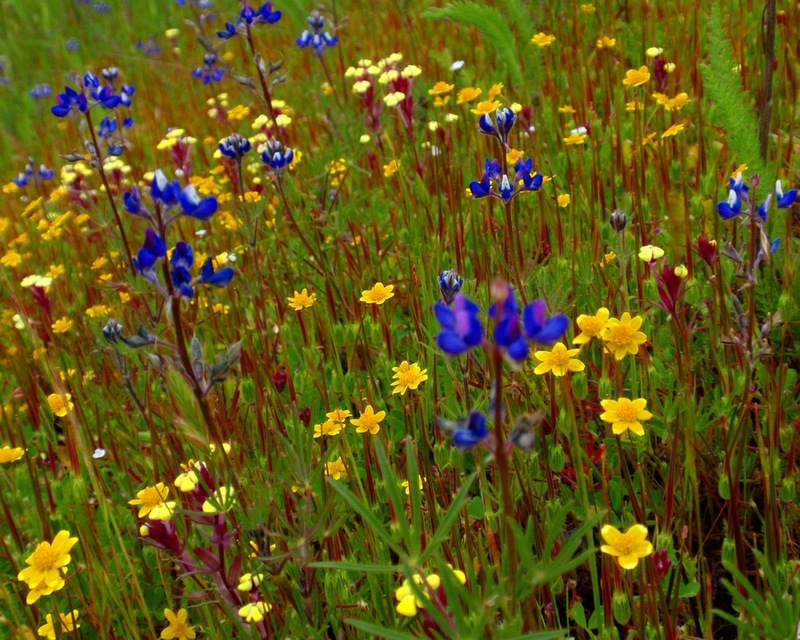 March: One can expect to see Goldenbush, purple bush lupines, yellow astragalus, pink filaree, yellow tropidocarpum, white popcorn flower, poppy and orange fiddleneck. 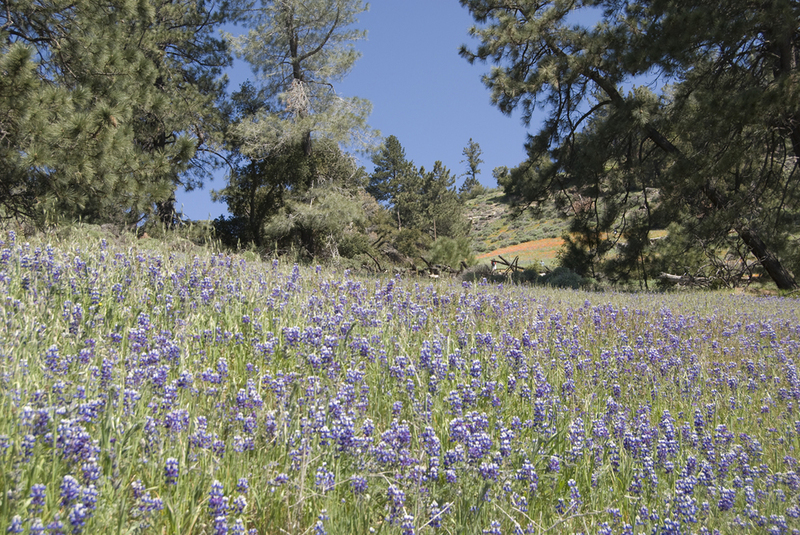 Hillside daisies, sun cups also bloom with baby blue eyes along the north-facing slopes. 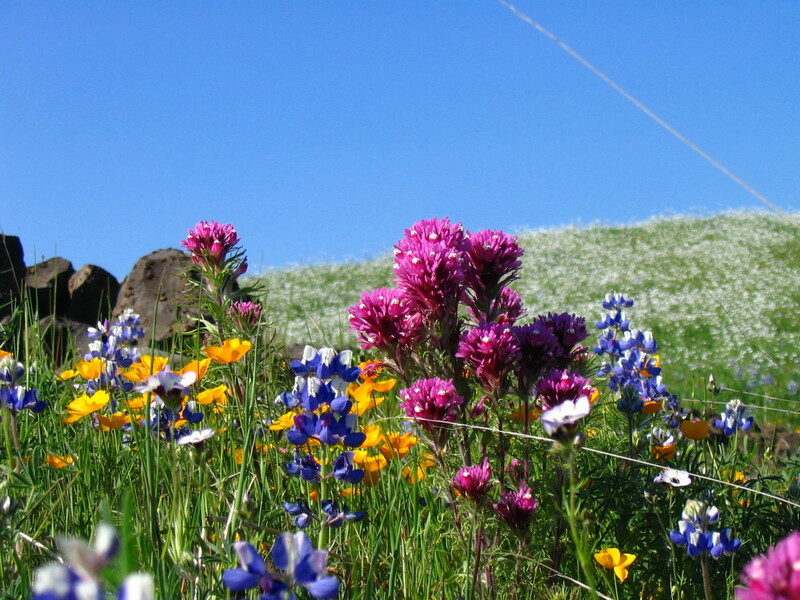 April: Considered the peak time for wildflowers, lupines, cream cups, delphinium, coreopsis, tidy tips and numerous bulbs including blue dicks and wild onions. "Slopes are usually favored by desert candles and chia as well. 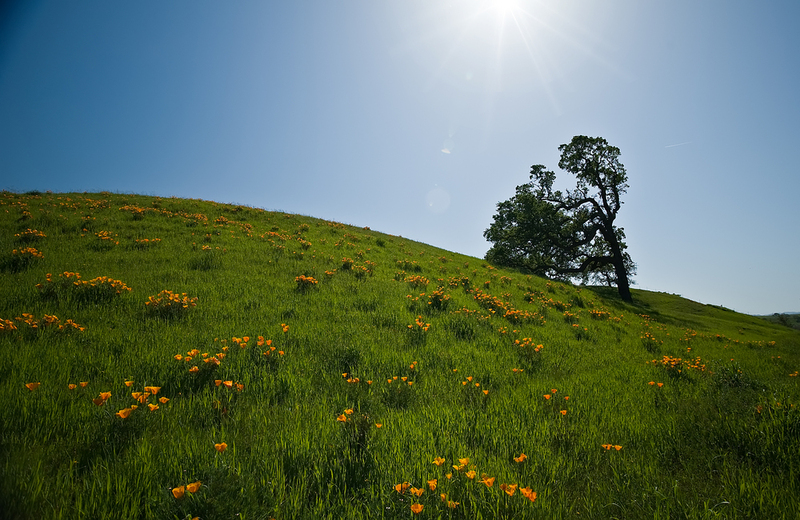 Fiddleneck will continue to grow and bloom. Though pretty in fields, they also begin to get prickly. 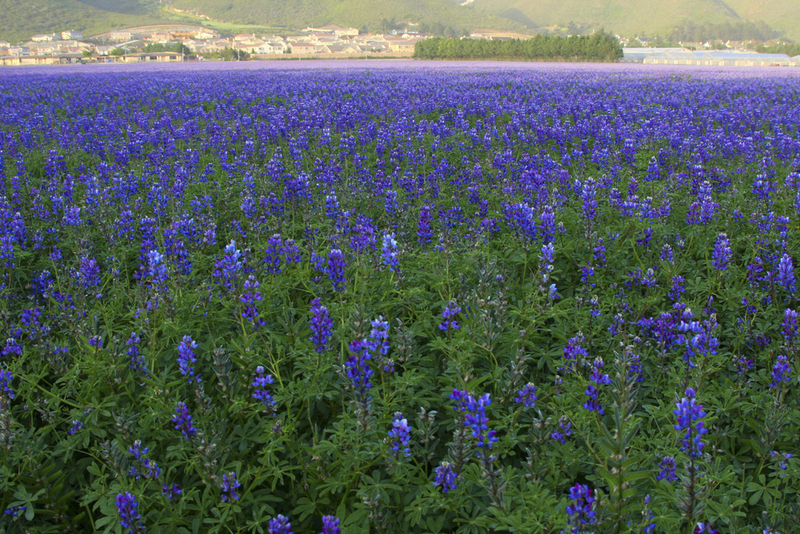 Phacelia, which can also cover the fields, will add a beautiful lavender/blue color to the mix," states the Bureau of Land Management. 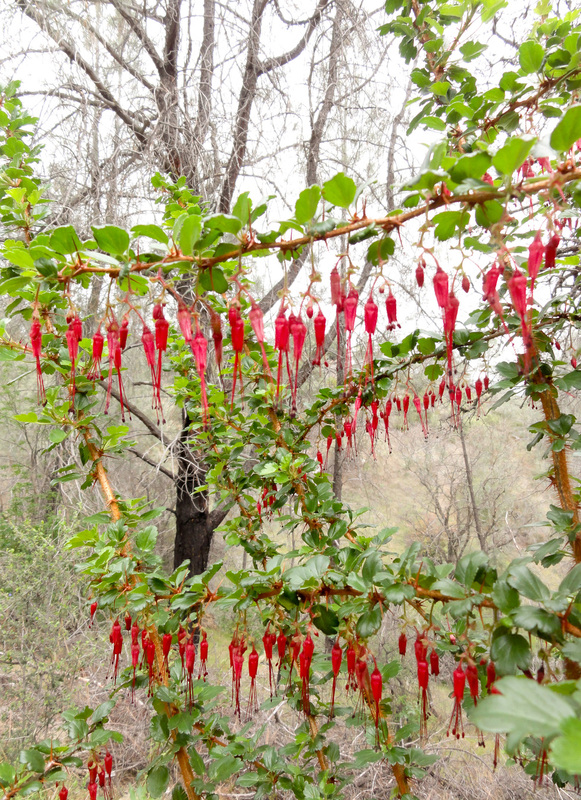 See if you can find the endangered California jewelflower, with it's beautiful deep crimson bells. 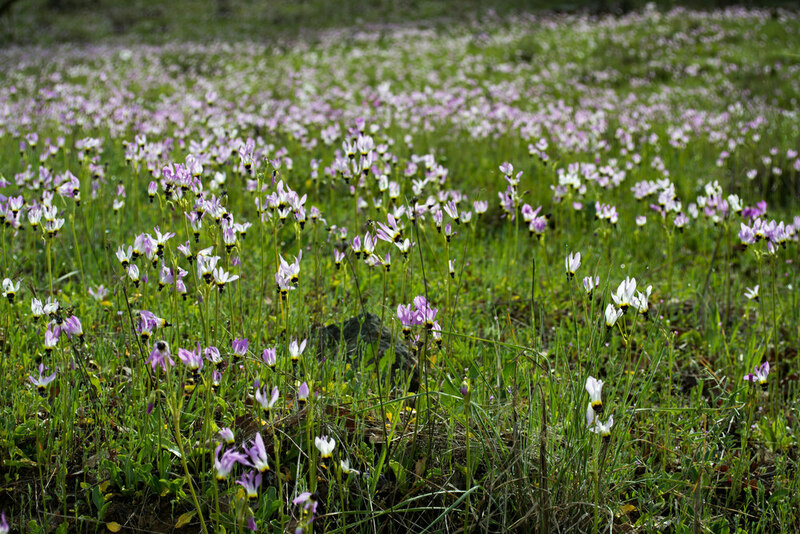 May: Tapering down the blooms and depending on the temperatures, one can expect to find some mariposa lilies and buckwheat in bloom, but peak season is a month passed. Best time to go: Mid-March through Mid-April, though the ranch itself opens in early May. 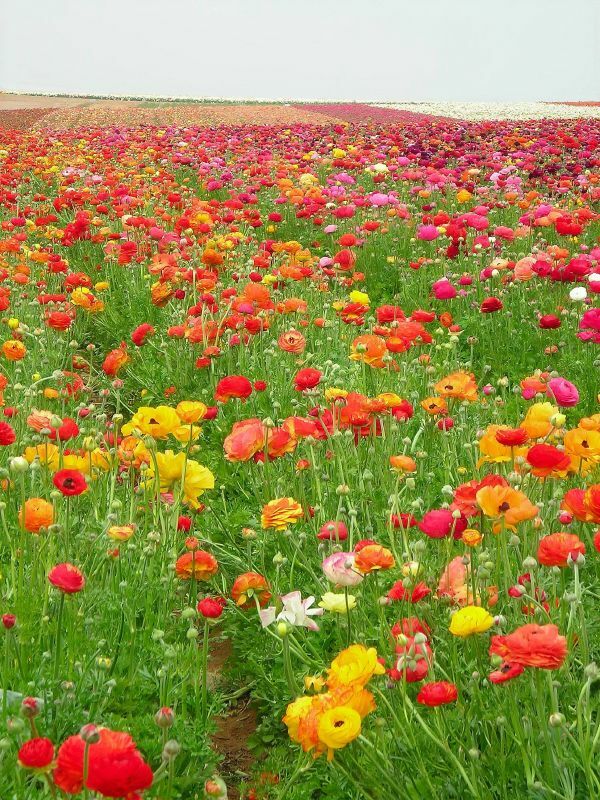 Opening May 8th, Carlsbad Ranch offers stunning kaleidoscopic colors from its 50 acres of ranunculus (also known as the Persian buttercup). Completely not native, completely fabricated in a lab, but nonetheless exquisitely beautiful. A true California sight to behold. Photographed by hundreds of thousands of people annually. 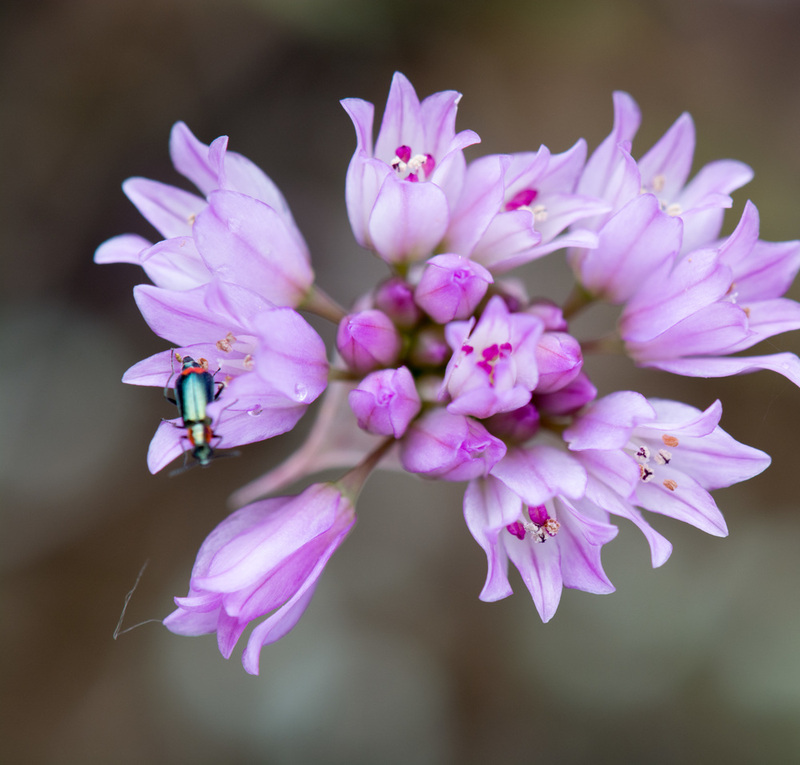 Over 3,300 acres of explorable terrain in the beautiful rolling Table Mountain Reserve. 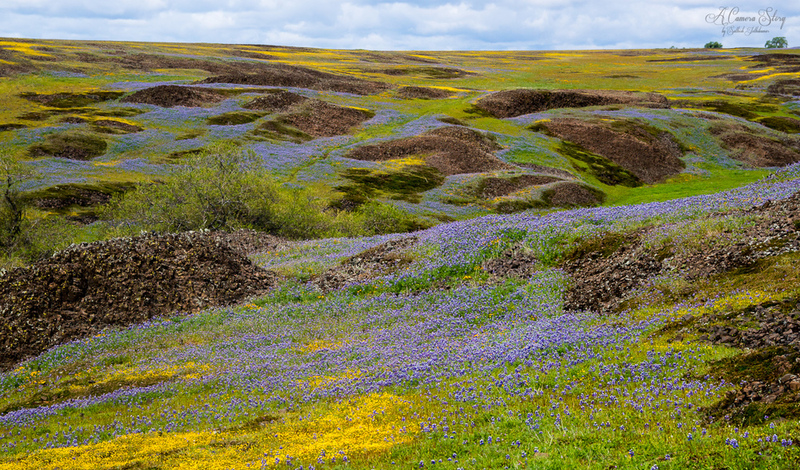 This massive area contains vernal pools, waterfalls, basalt lava outcroppings populated by springtime blooms. 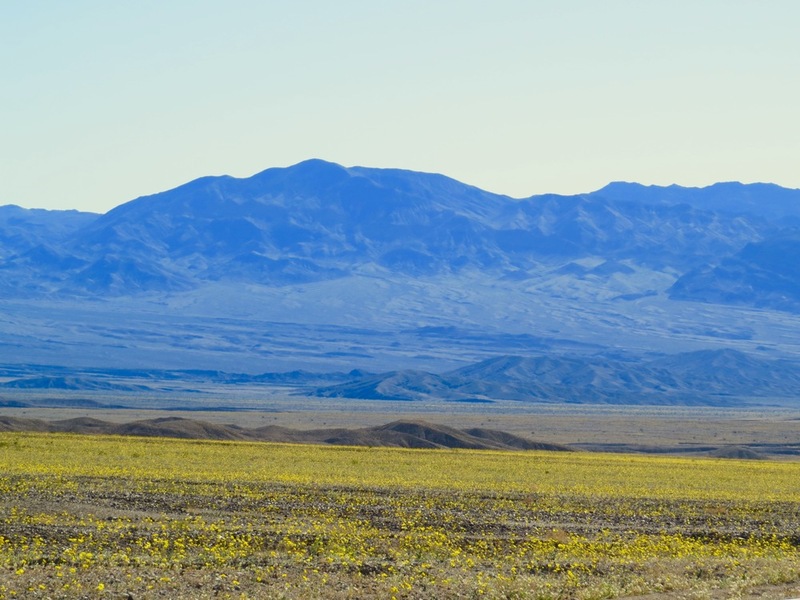 Acquired in 1993, its previous life: decimated and trampled by invasive species, livestock grazing and mining activities. 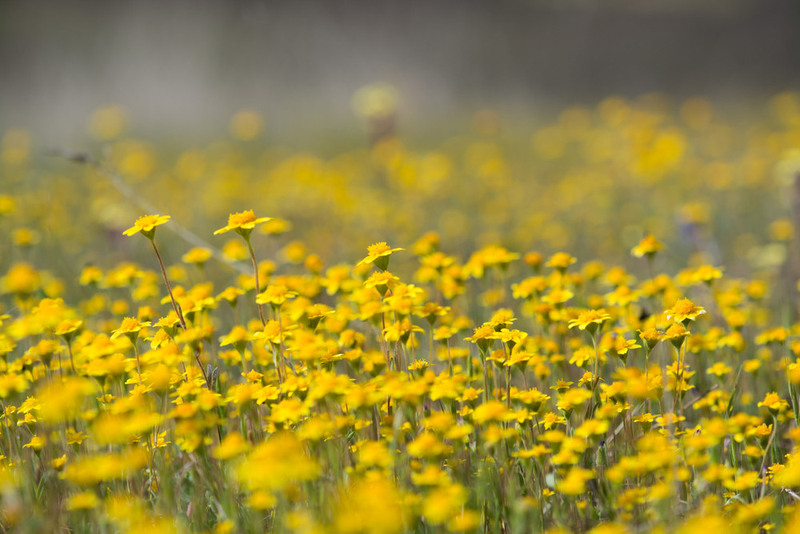 Under state protection, park rehabilitation and restoration is on-going and ensures the reserve remains a lasting refuge for wildflower seekers indefinitely into the future. 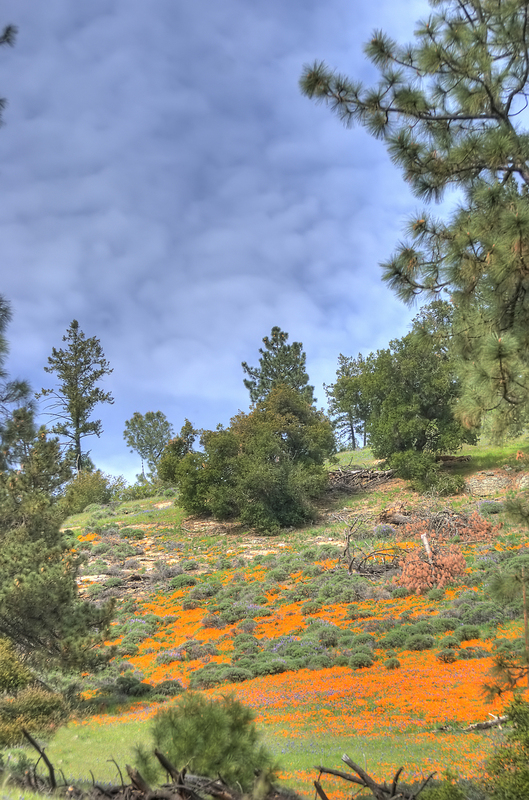 Located in the grand Los Padres National Forest, Mount Figueroa Recreation area is one of the most spectacular locations and drives to view California native wildflowers. 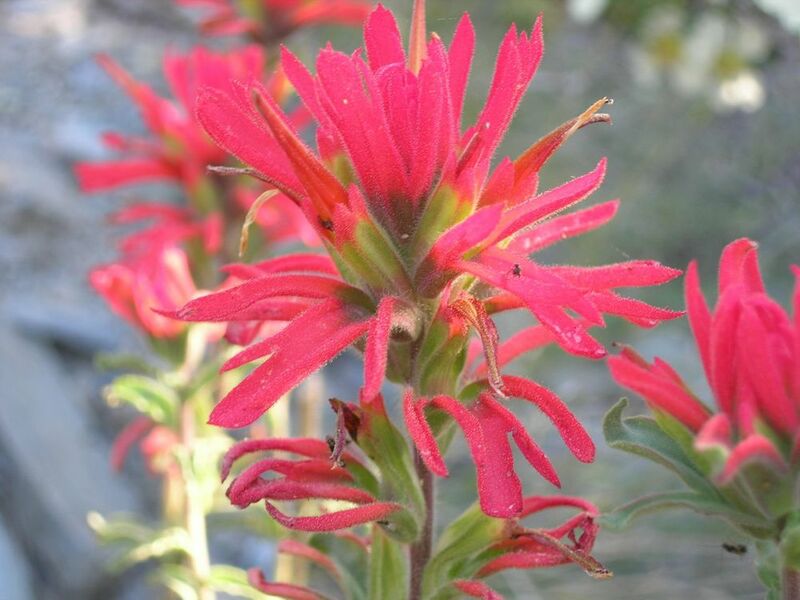 The National Forest service website details the following species observable during the spring. The community here is an inland central oak woodland dominated by valley oak, blue oak, interior live oak and gray pine. 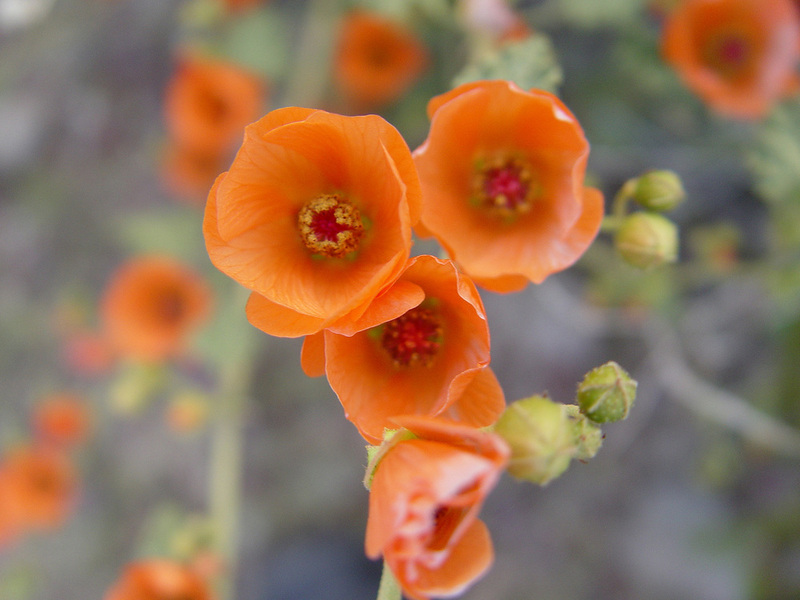 The companion shrub species are manzanita, coffeeberry and redberry and gooseberry and currants. Source. 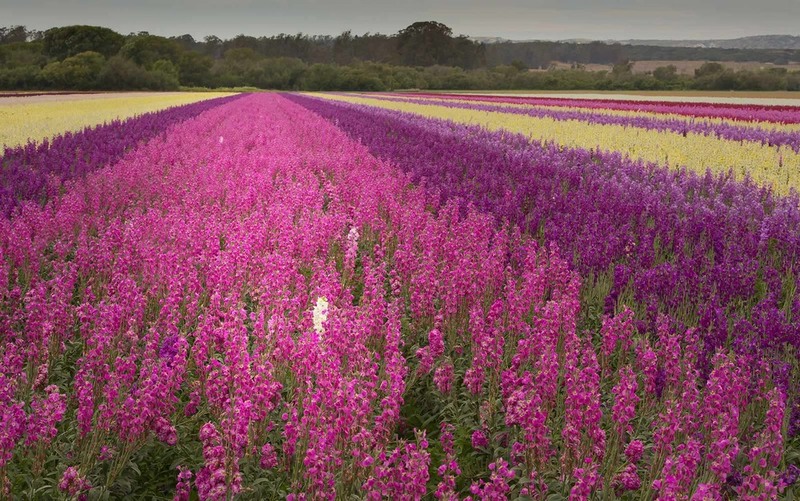 You'll find horizon ending fields of larkspur, stock, delphinium and Bells of Ireland in one of the most stunning flower fields in California. 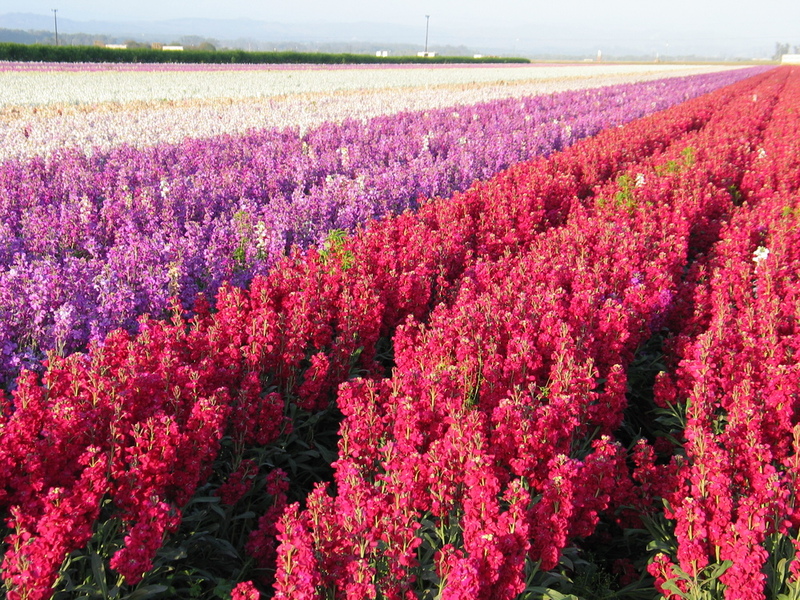 Here's a Lompoc flower map. 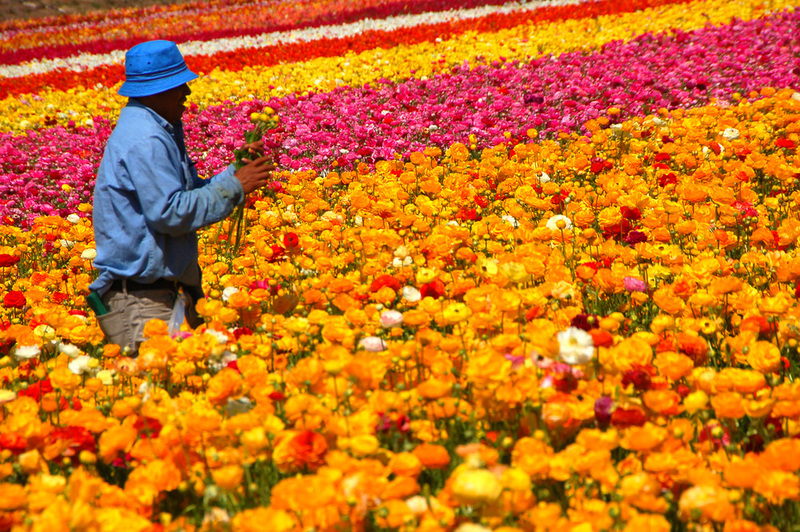 If you show up in June, check out the Lompoc flower festival, a family event with vendors, food and plenty of information about blooms. Remember, it's pronounced "Lom - Poke." Best time to go: February through July during El Nino events and at different elevations. 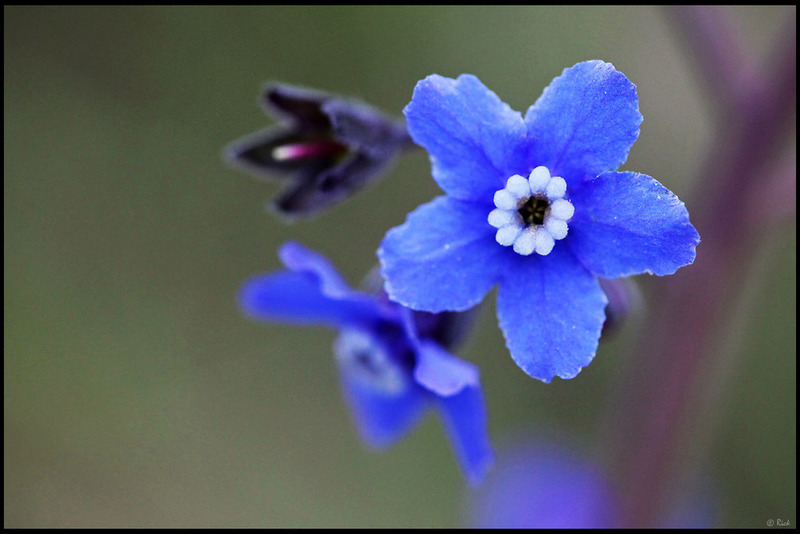 One of the best resources available for wildflower blooms is the Theodore Payne Foundation for Wildflowers and Native Plants hotline. 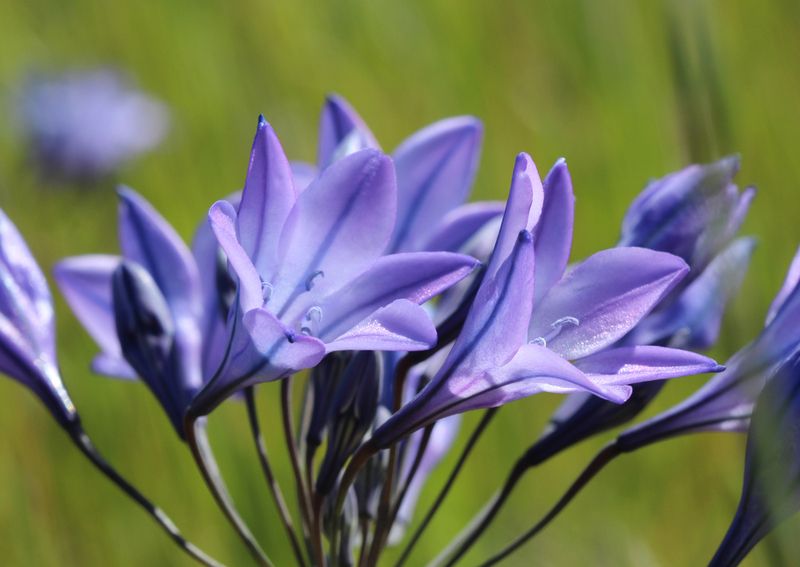 Every week individuals contribute their findings for the best wildflower blooms throughout California. 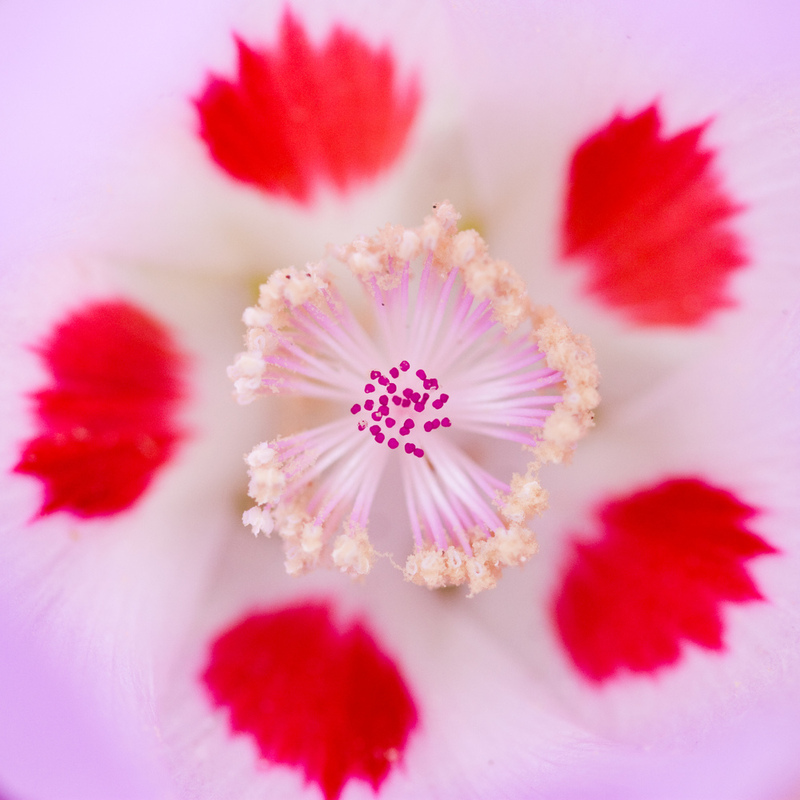 It's free to contribute your own sightings by shooting their flower hotline an email: flowerhotline@theodorpayne.org. 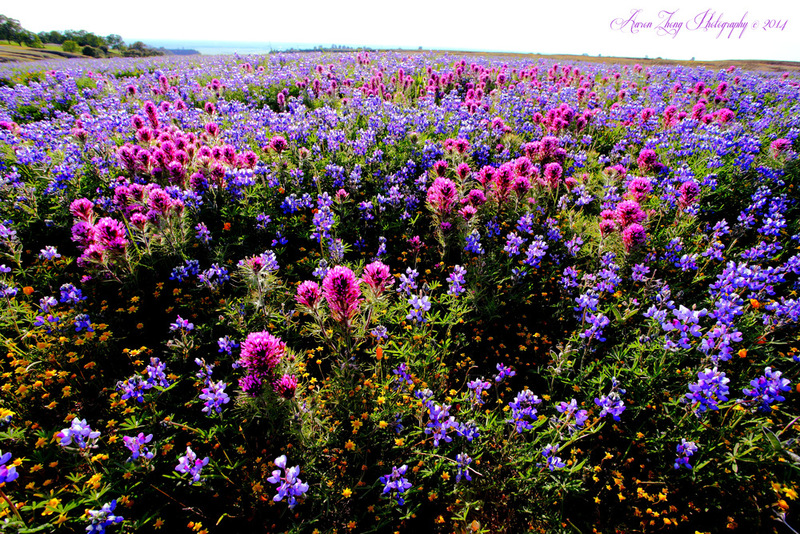 Let us know in the comment section about your favorite wildflower viewing destinations. One of our favorite things to do in spring is drive up the local ranges and explore the area with day hikes. Also, if you find this resource helpful, shoot us a message and check out our favorite botanical gardens for hard-chilling and our piece on famous California drives: Rites of Passage. As this resource is a huge labor of love, if you feel compelled, please share the link or like our Facebook.